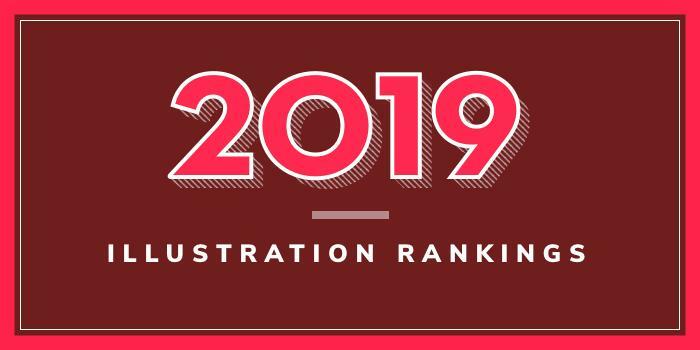 Our 2019 ranking of the top illustration school programs in California. For an explanation of the ranking criteria, click here. Founded in 1930, ArtCenter College of Design serves approximately 2,100 students enrolled in 11 undergraduate and seven graduate degree programs in Industrial Design, Visual, and Applied Arts Disciplines. The school, which also offers a joint MS/MBA program with the Drucker-Ito School of Management, has two campuses in Pasadena and satellite studios in Los Angeles (at the Peterson Automotive Museum), and Berlin. Programs for aspiring illustrators include a BFA in Illustration. An Interdisciplinary MFA is also available. Otis College of Art and Design (OTIS) was established in 1918 by founder and publisher of the Los Angeles Times, General Harrison Gray Otis. The school serves approximately 1,100 full-time students enrolled in 11 BFA degree programs ranging from Digital Media (Animation, Game and Entertainment Design, and Motion Design) to Toy Design. The school also offers MFA degrees in Fine Arts, Graphic Design, Public Practice, and Writing, and a variety of minors and certificate programs. Founded in 1907, California College of the Arts (CCA) serves more than 1,500 undergraduates and 450+ graduate students enrolled 22 undergraduate and 12 graduate degree programs, plus four minors. The school offers a BFA in Illustration and MFA programs in Fine Arts, Comics, and more. A BFA in an Individualized major is also available. California State University Long Beach (CSULB) was established in 1949. One of the 23 campuses of the California State University System, CSULB serves 37,500 students enrolled in more than 300 programs across eight colleges. The College of the Arts, School of Art, offers several programs for aspiring illustrators. Options include a BFA with an Illustration Track, an individualized MA or MFA, and a Certificate in Biomedical Art. Established in 1961 as the Laguna Beach School of Art, Laguna College of Art and Design (LCAD) serves more than 600 students and it offers twelve undergraduate majors and four graduate degrees. Options for aspiring illustrators include a BFA in Graphic Design + Digital Media with an Illustration Emphasis, a BFA in Illustration in Entertainment Design, and an Illustration Minor, which consists of 15 credit hours in courses such as Computer Imaging, Graphic Illustration and Illustrative Painting. Founded in 1857, San Jose State University (SJSU) serves more than 32,000 students enrolled in 145 areas of study, with an additional 108 concentrations, across eight colleges. The College of Humanities and the Arts, Department of Design offers a BFA in Animation/Illustration. Graduates of this program have worked on films from A Bug’s Life and Finding Nemo to Monsters, Inc. and Shrek. California State University, Fresno (Fresno State) was founded as Fresno State Normal School in 1911. One of the 23 campuses of the California State University system, Fresno State serves more than 24,400 students enrolled in hundreds of programs, including 45 master’s degrees, through eight colleges and schools. The College of Arts and Humanities houses the Department of Art and Design, which offers BFA in Graphic Design with an Emphasis in Illustration. Sample courses for the program include Advanced Illustration, Advanced Digital Illustration, Drawing, GD Computer Imaging, Illustration Techniques, Interaction of Color, Internet Design, Professional Practices in Graphic Design, Typography, Visual Communications, and Visualization and Illustration. All students will have the opportunity to complete an internship and participate in the study abroad program. A final project is also part of the curriculum and graduates will leave the program with a portfolio to shop around to potential employers.